Phoenix Arizona is a big city with lots of concrete jungle and amenities like just about every other big city. Sprawling suburbs, great food, yoga studios, art and foodie districts, professional sports, and of course looooong bumper to bumper rush hour traffic. What makes Phoenix a bit different is the close proximity to many incredible hiking trails within a few hours drive and even within the city limits! 3 National Parks are easy day drives and the city itself along with many other close towns boast some amazing hiking. I have much more to explore in the region but today I give you my top 5 day hikes in the Phoenix Arizona region! 5. 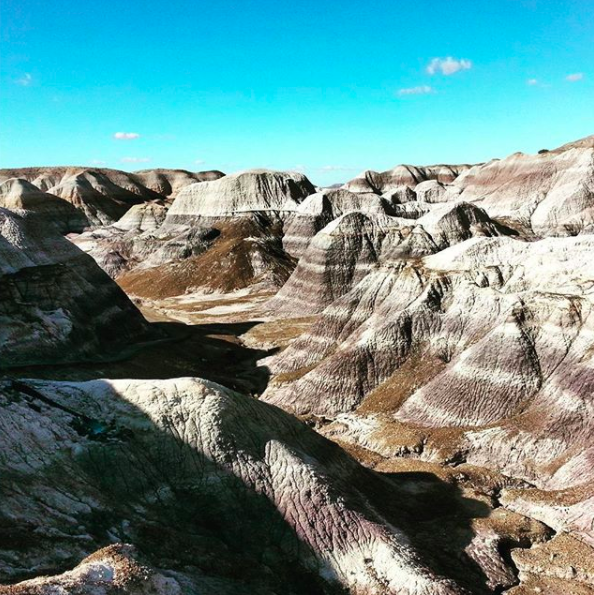 The Blue Mesa Badlands Trail in Petrified Forest National Park. This makes you feel like you are in one of the Dakota's not Arizona. An easy loop and meander down through the trail gives you some amazing photo opportunities and the park as a whole is a beautiful and unique place to visit. 4. 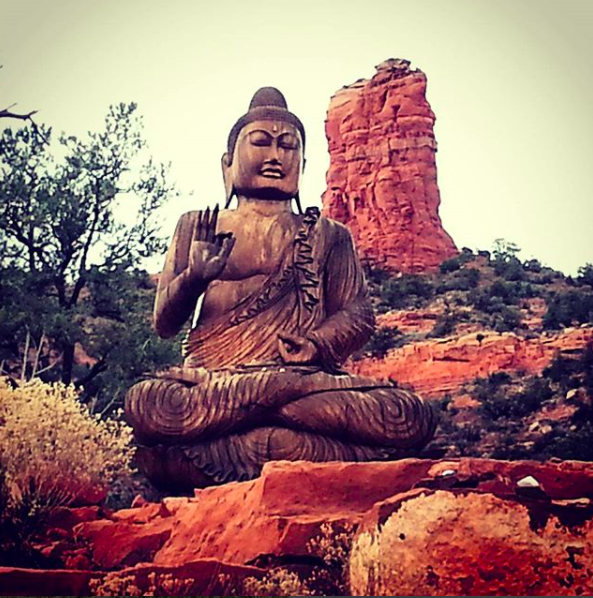 The Amitabha Peace Park Stupa in Sedona, Arizona is a dream for yogi's like myself. Come out and catch one of the adjacent hiking trails, ones that you can jog to from the town, and then end with a calming meditation in this peace park. Sedona has miles of amazing trails and red rock views but being a daily practitioner of yoga the park and an adjacent hike are my fave's! 3. 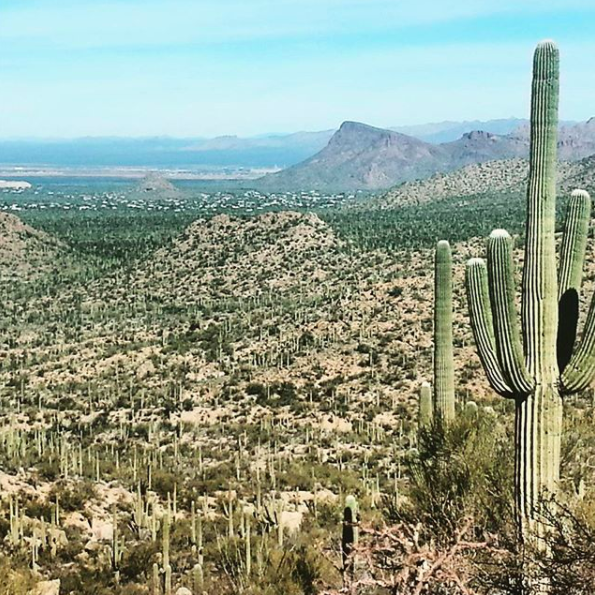 The John Norris Trail in Saguaro National Park is a cacti lover, and hiking lover's, dream! I trekked about 10 miles on this trail and could have done more but wanted to see other parts of the park. Miles of trails in this hot region is perfect for winter hiking. It's a small but incredible park! 2. Camelback Mountain is located within the confines of Phoenix. In fact there are numerous amazing trails within the city which makes it a urban hiking dweller's dream! Camelback's the best though for a solid workout, just get there early because street parking fills up and it gets crowded! I did the Cholla trail with my friend Jamie and we were met with a stunning sunrise to start the day. 1. 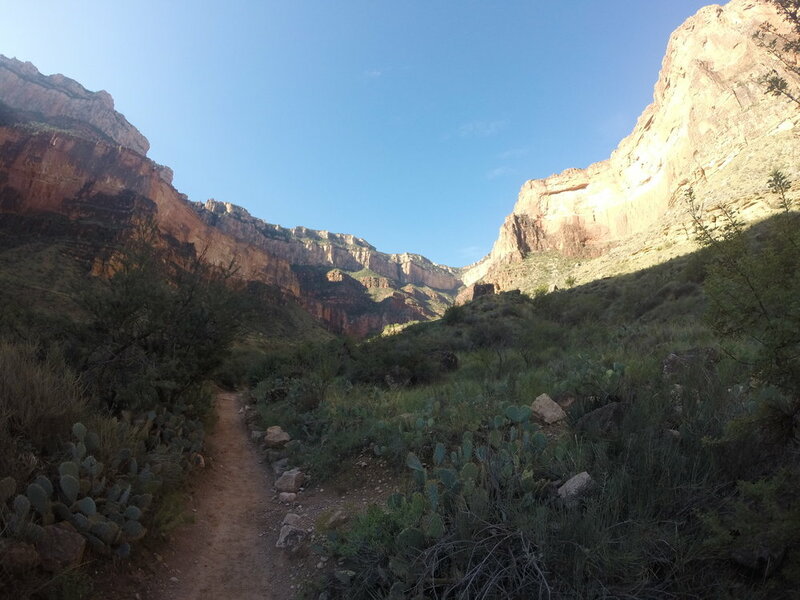 Bright Angel Trail Grand Canyon National Park! I wrote a full blog HERE on this hike but it's the best of the best not only in the Phoenix region but the whole country. It doesn't matter how many times I go...there's nothing like hiking into the Grand Canyon! I know there are plenty more I could have included. However these are my favorites from the 9 or 10 times I have hiked in the area. The bigger takeaway to me is that you can get outside and enjoy nature anywhere anytime. Even in the confines of a large city like Phoenix that is located in the desert. What's your favorite hike in the region? Put your comments below! Hike and happy hour with us HERE on Sunday January 21st and join our email list, seriously, you'll win fun prizes and be in the know about what we are up to next!